Many hygiene products contain chemicals that are not only harmful to our environment but could also be detrimental to our own health as well. That’s why more and more people are becoming conscious about what they put on their skin. If you’re on the lookout for deodorants that only contain natural ingredients, but don’t know how to identify them, it’s a good idea to make yourself more knowledgeable about natural deodorants and how they can benefit you. Why Should I Switch To Natural Deodorants? It’s aluminum and paraben free; Both ingredients are associated with breast cancer and skin irritation. There is no danger that the deodorant might have been tested on animals. Natural deodorants are 100% safe for the environment. It’s BHT-free. BHT is associated with hyperactivity in kids. It’s an important thing to check that there is no BHT in a deodorant when shopping for your little ones. The chemicals that are used in the fragrances of normal deodorants have been found to accumulate in people’s bodies. This has been thought to be the cause of birth defects and infertility. Talc powder, a prominent ingredient of non-natural deodorants, is normally used to absorb underarm moisture but is a suspected carcinogen. Carcinogens are substances that cause cancer. What Are the best natural deodorants that work? Crystal Body provides all natural protection without any harmful substances. It gets rid of unwanted odor with its 100% natural mineral salts. It’s safe to be used by men and women and it is safe for the environment. It’s even endorsed by cancer treatment centers. This Deodorant has a citrus scent which reminds one of a bright summer’s day. It has won awards for odor protection and relief from underarm wetness. It’s free of all harmful chemicals like aluminum and parabens. It uses plant-based ingredients to protect against wetness. Green Tidings is an all-natural deodorant, even it’s labels are printed with environmentally friendly water-based inks. It is free of all chemicals including artificial coloring. This fragrance-free deodorant is made in a solar powered facility. 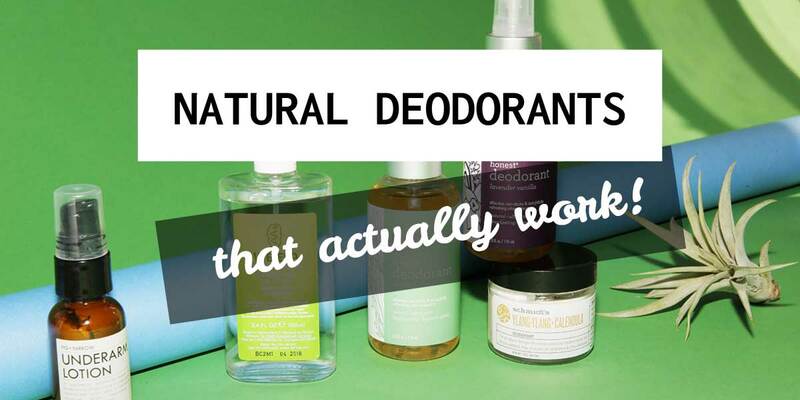 This award-winning, aluminum-free deodorant is 100 percent natural and 100 percent effective. Many customers who have bought Lavanilla claim that it is one of the only natural deodorants that really does its job. InstaNatural neutralizes odors and leaves a clean feeling without any residue. It’s made from pure and natural ingredients and is safe to use on sensitive skin. It utilizes Lavender, Sage oil, lime, orange oil, and lemon extracts.